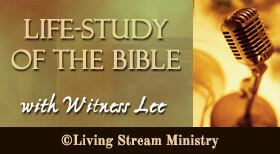 Below we offer a list of the various ways to listen to Life-study of the Bible with Witness Lee. Listen to today’s radio programme. Download or listen to programmes from the current broadcast schedule. Download or listen to radio programmes from the archives. DAB stands for digital Audio Broadcasting. Rather than broadcasting through radio waves and signals, digital broadcasting uses a technology that broadcasts a much wider choice of radio stations without inference or fadeout. With a DAB radio, which has a digital tuner, listeners can receive perfect radio listening throughout the entire United Kingdom.